Two weeks ago, we discussed the research and findings that ultimately led to the decision to change our name. Today, we’ll talk about how we chose USAGov. It was clear that our previous name, the Federal Citizen Information Center (FCIC), had a few issues. Most pressing: The majority of people we interviewed and polled hadn’t heard of our organization, so our brand recognition was low. And many of those who had heard of FCIC knew us by one of our various channels — USA.gov, GobiernoUSA.gov, Kids.gov, Publications.USA.gov, or 1-844-USA-GOV1. So they didn’t necessarily realize the full scope of our offerings or know that all these channels were tied together under one organization. Although they provided a strong foundation, the names of those channels fell short of being viable options for a parent brand. 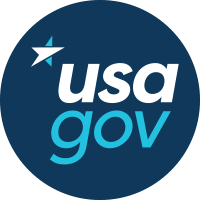 The name “USA.gov,” for example, is specific to one website. As a parent brand, it wouldn’t represent all of our channels. And moving forward, as we continue to grow and evolve, it would keep our brand tied to one technology. So the idea arose: Let’s drop the dot. The name “USAGov” retains the positive connotations of the “gov” suffix. It quickly conveys “U.S. government.” And it is not channel-specific. It is, we believe, a strong parent brand — and the perfect thread to weave throughout our channels, much like ESPN is the parent brand for ESPN.com, ESPN The Magazine, ESPN Deportes, and additional sub-brands. In September, we made it official. USAGov replaced the FCIC name, both internally and externally. We created a new logo. We created new brand design templates for use in daily activities by USAGov team members. 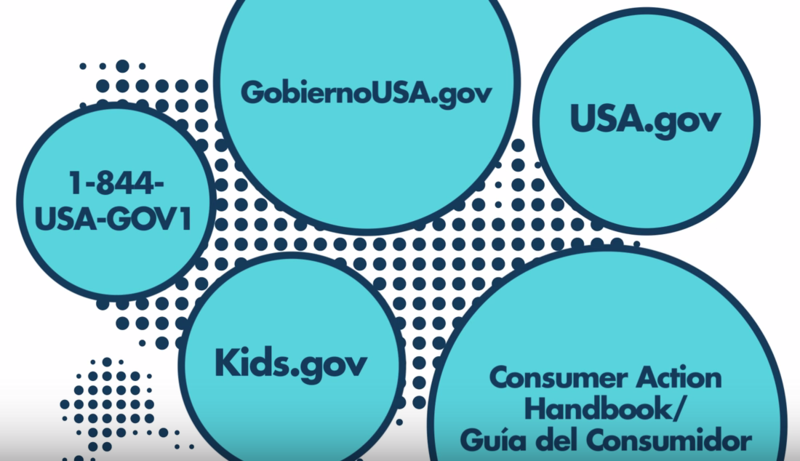 And we created a video to tell the story of USAGov to both external and internal audiences along with a new online exploratory landing page. Just as it was important to convey to the public that USAGov offers a wide range of channels and resources, it was important — internally — to convey to employees that we are all one team. There are no silos. The website teams, the contact center team, and the publications team are all united under the same parent brand and the same mission. Together as USAGov, we’re delivering government information and services to the public. Coming next: Designing the logo.